Georgine Saves » Blog Archive » Good Deal: Precious Moments Disney Showcase Collection Love At First Kiss $60.46 + Ships FREE! Good Deal: Precious Moments Disney Showcase Collection Love At First Kiss $60.46 + Ships FREE! 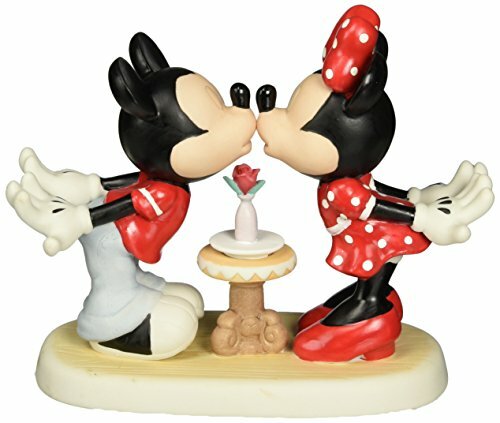 #ad If you know a Mickey and Minnie fan or just find this Precious Moments Disney Showcase Collection Love At First Kiss for $60.46 from Amazon.com adorable,this is for you! It’s a perfect Valentine’s Day gift (2-14) too. The base can be personalized with a name, date, or special words up to 20 characters. Shipping is FREE.